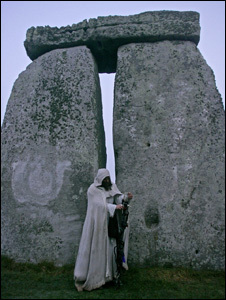 AN EXHIBITION of the history of Stonehenge will be taking place at the McNeill Gallery in Pewsey. Archaeological artist Peter Dunn will be exhibiting his Reconstruction Paintings of the Stonehenge Complex at the McNeill Gallery in Pewsey over the summer. Mr Dunn’s series of reconstruction paintings of the historic landmark were produced from the findings of the Stonehenge Riverside Project between 2009 and 2013. The exhibition will be a first for the gallery, with Mrs McNeill believing it will give an insight into the history of the area. “I am excited about the exhibition, I thought it would be interesting as it is a historical insight into the area and for Wiltshire as a whole. Of course, in July we are hoping to catch tourists as well as people from the local area,” added Mrs McNeill. Mr Dunn worked as an illustrator and artist with English Heritage from 1985 to 2007, and has been involved in interpretive projects throughout England as well as abroad, also working on a couple of programmes on the BBC. We will be including this art exhibition on our summer Stonehege and Avebury tours.